Huawei revealed the Huawei P30 Pro and P30, two new flagships with beautiful designs, stunning camera suites, and more power and special features than you can shake a stick at. 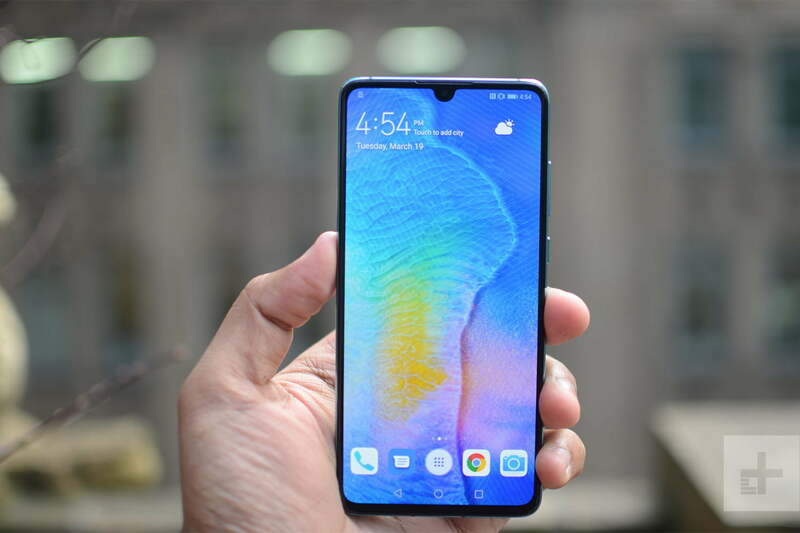 Of the two, the Huawei P30 is the cheaper and slightly smaller, making it the perfect phone for anyone who finds large phones a little too intimidating. But it’s not the only smaller flagship that offers the same level of power as its larger brethren — the Samsung Galaxy S10 is the middle child in the new S10 range, while the iPhone XS is the excellent smaller sibling in the new iPhone range. So between these three excellent phones, which should you get? We compared them to find out. There’s top-notch hardware crammed into all of these phones, and you’ll get smooth performance and solid gaming from all three. But while the P30 isn’t likely to let you down in the power stakes, its Kirin 980 processor isn’t up to the same level as the iPhone XS’s A12 Bionic and the Galaxy S10’s Snapdragon 855. That difference probably won’t be very noticeable in day-to-day performance, but it’s definitely there. There is not much to separate battery performance though, and you can expect a solid day’s worth of life from all three. There is a bigger difference in potential charging speed, both wired and wireless. While the Galaxy S10 languishes with QuickCharge 2.0 at 15W, the P30 storms ahead with Huawei’s fast SuperCharge wired charging at 22.5W. The iPhone also offers fast charging speeds up to 18W, but not with the charger in the box; it ships with a measly 5W charger and you will have to pay extra to get anywhere near the speed of the other two. The Galaxy S10 and iPhone XS both offer wireless charging, which is lacking on the P30. But the S10 charges much faster at up to 15W, and it can also wirelessly charge other phones, thanks to the PowerShare feature. All three of these phones come with gorgeous designs and glass bodies, but there are definitely differences between them. The P30 and iPhone XS come with color options that change slightly in the light, giving them strong wow-factors. The Galaxy S10 is less overt, relying on a minimalist and clean look. All three have minimal bezels on the front, maximizing screen space — but if you dislike the notch, then you will probably be put off by the notches on the iPhone and (admittedly smaller) teardrop notch on the P30. The S10 uses a floating hole-punch display, which we prefer to the notch. Durability is where the leaders start to show. Glass means you will probably want a case for all three, but water-resistance is a serious splitter. The Galaxy S10 and iPhone XS come with IP68 ratings for water-resistance, meaning they’ll survive a dip in the pool or bathtub whereas the IP53-rated P30 will not. While all three phones are gorgeous, the extra water-resistance on the Galaxy S10 and iPhone XS puts them in a different league. They win this round. It’s a good day for display lovers; there are three stunning OLED displays here with strong color accuracy, deep blacks, and vibrant colors. The P30 rocks a 6.1-inch OLED display with a 2,340 x 1,080-pixel resolution and a small teardrop notch. 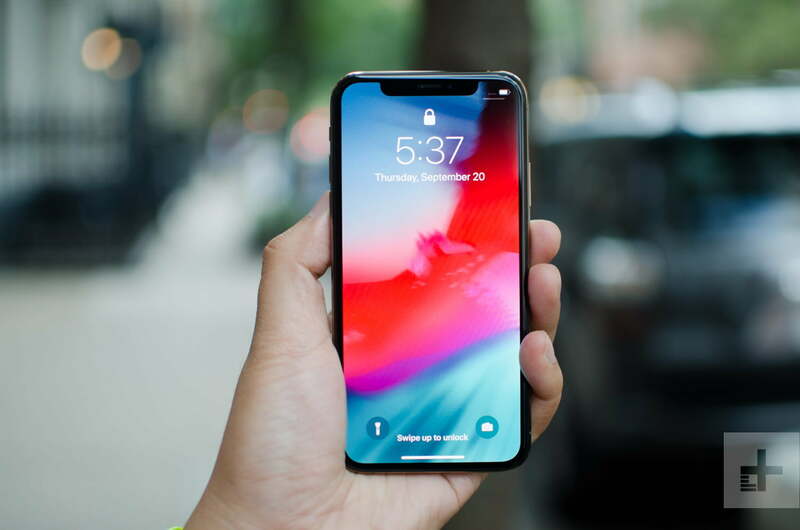 The iPhone XS’s screen is a smaller, 5.8-inch Super Retina OLED display running a 2,436 x 1,125 resolution, with a slightly larger notch. Both are beautiful, but they’re just not on the level of the Galaxy S10’s 6.1-inch Dynamic AMOLED display. It runs a crisp 3,040 x 1,440 resolution, and broke records in DisplayMate’s screen tests. It’s definitely the strongest out of a strong three. With 11 lenses between these three phones, it’s fair to say all of them are camera phone powerhouses. All three come with 4K video capabilities and A.I.-powered assistance. The iPhone XS has the fewest lenses of the three, with two 12-megapixel lenses on the back (one standard, one 2x telephoto) and a single 7-megapixel lens around the front. But it’s not lacking in power and it delivers excellent photos with its Smart HDR, and exceptional portrait mode shots. 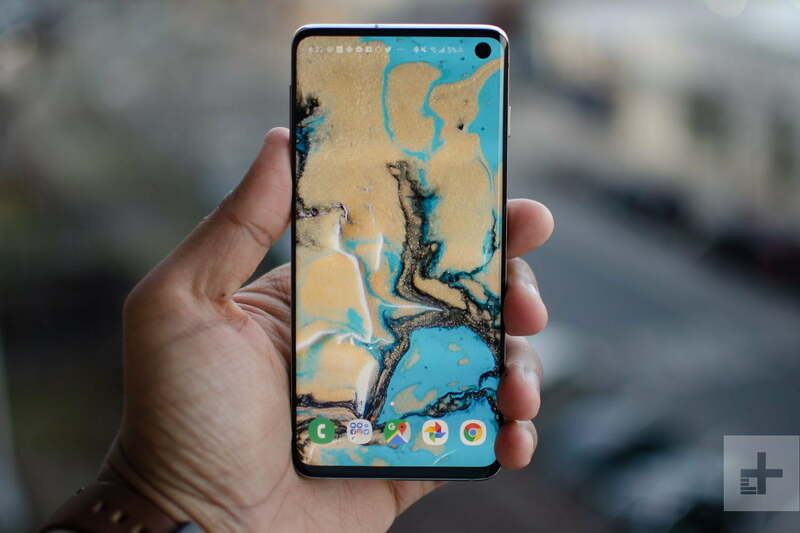 The Galaxy S10 sports three lenses on the back; a 12-megapixel lens, a 16-megapixel ultra wide-angle lens, and a 12-megapixel 2x telephoto lens. Around the front, you’ll find a single 8-megapixel selfie lens. The S10’s cameras are similarly impressive, and the versatility of the ultra wide-angle and telephoto lens gives it a strong edge. But is it as strong as the P30’s triple lens system? It’s a similar setup to the S10 with a standard, ultra wide-angle, and telephoto lens, but each has been dialed up to 11. The standard lens is a 40-megapixel monster, joined by a 16-megapixel ultra wide-angle, and an 8-megapixel telephoto lens with 3x optical zoom. There’s also a 32-megapixel selfie lens on the front. Huawei tweaked the filters to let the P30 take in a huge amount more light than most camera phones, leading to a much higher ISO than the other two. While we’re yet to put the P30 to serious tests, we’re going to bet on it for now. There’s a mismatch of operating systems here. The P30 and the Galaxy S10 run Android 9.0 Pie, but both run manufacturer skins on top. The iPhone XS runs Apple’s iOS 12 instead. Samsung’s and Huawei’s UIs are much better than they used to be, and your choice between them and iOS 12 is going to be purely personal. Update speed, however, isn’t personal, and Samsung and Huawei are extremely slow to update their phones even by Android’s fairly slow standards. Updates to iOS generally hit iPhones within days of being rolled out. Apple also supports phones for a lot longer than most other manufacturers. While your choice of operating system is personal, Apple wins this hands down on update speed alone. All three phones are full of special features and we struggle to list them all. Thankfully, some share features. The S10 and P30 both come with in-display fingerprint scanners, though the S10’s ultrasonic tech is more secure and faster than the P30’s optical method. The iPhone XS has no fingerprint scanner, but with Face ID you likely won’t miss it. A.I. assistants run wild here too, with Siri on the iPhone, and Google Assistant on the P30 and S10. The S10 packs Samsung’s Bixby, too. You’ll find desktop-like modes on the P30 and Galaxy S10 if you plug them into monitors, and the S10 also comes with support for Gear VR, and AR Emojis, which are like the iPhone XS’s Memojis. There are so many special features on these phones now that it’s hard to summarize them all, and honestly, you’ll forget about most of them. Apple’s features tend to be more refined, but the S10 takes it with sheer weight of numbers. The iPhone XS starts at $1,000, while the 512GB version costs $1,350. It’s available from most U.S. carriers. The same is true of the Galaxy S10, and prices for that start from $900. The Huawei P30 is the odd one out, and you may have to import it as it’s not officially available in the U.S. It will also likely only work on T-Mobile or AT&T. It starts at around $900. It’s a close fight, but while the Huawei P30 has a lot to offer, it’s found wanting when compared to both the Samsung Galaxy S10 and the iPhone XS. Between those two phones, there’s almost nothing to separate them. The Galaxy S10 has the more versatile camera, while the iPhone XS boasts the slickness only an iOS or Pixel device can deliver. If you’re used to iOS and you have other Apple devices, then the iPhone XS is going to be your best bet, but we think the Samsung Galaxy S10 is a better phone overall.